Have you ever visited a sleeping Volcano? For the people who like excitement this is the right excursion. Hot sulphur steam emerges from the big crater, in which you can actually climb down to see for yourself if it is active or not. The island, also known for its curative sulphurus springs, is rich in natural beauty and vegetation. There are 4 small villages of which Mandraki, on the sea, is the main one. We will walk through its picturesque narrow streets for a facultative visit to the famous monastery with the church of Maria Spiliani, which is situated in a cave well worth visiting. 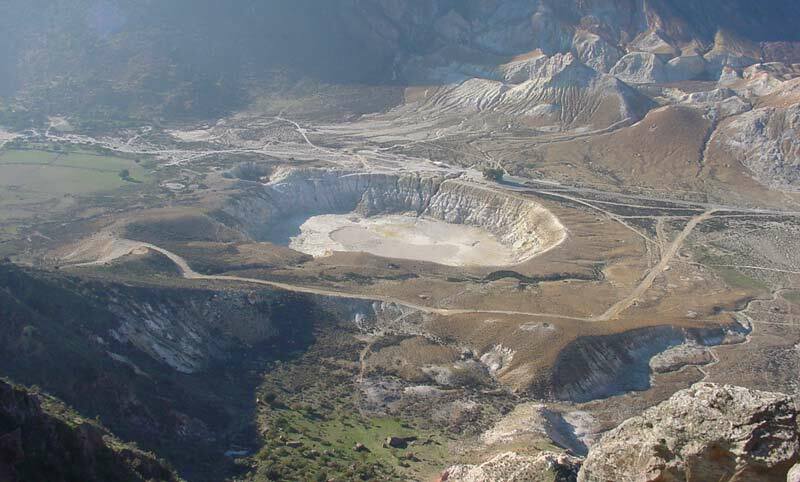 We reach the crater "Stefanos", (27 meter deep, 350 meter ø) by bus and will descent into it for an excited closer visit. "Stefanos" is the largest crater on the island there are a few more of them. We return to Palli, a little settlement on the beach, a few minutes drive from Mandraki, for swimming and luncheon. We suggest our guests to wear comfortable walking shoes, as the descent to the crater is rough and the ground on the crater quite hot. 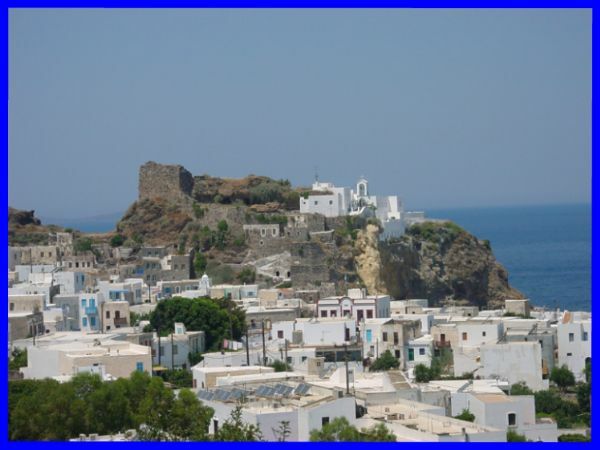 Take a look on the history and more photographs of the island Nissyros.